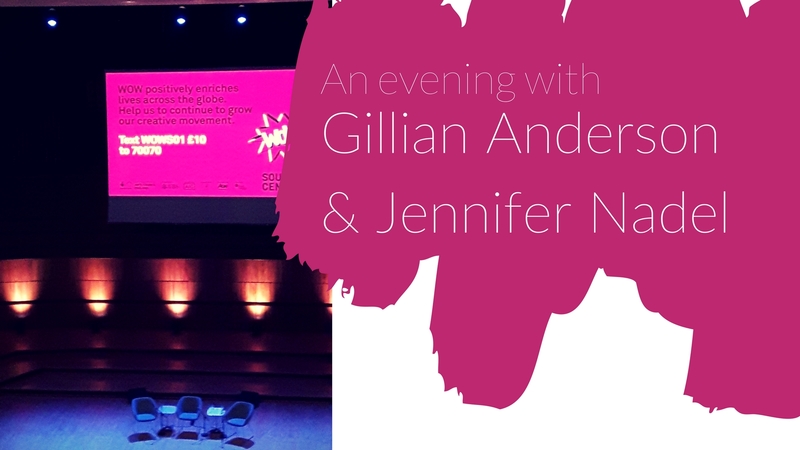 Last Friday I popped along to the SouthBank Center in London to hear actress and activist Gillian Anderson and decorated journalist Jennifer Nadel give a talk in celebration of the release of their book ‘We: A Manifesto For Women Everywhere‘. The book was a co-authored by both women and faces the ‘have-it-all’ mentality, challenging women to question what actually makes them happy and fulfilled. ‘We’ also focuses on the importance of fostering a culture of collaboration between women, especially during difficult periods of our lives. Moderated by Women of the World Festival Founder, Jude Kelly, the talk though obviously focused on feminism covered a range of topics including mental health, the work/life/family balance and Anderson and Nadel’s own experiences of breakdown within their respective careers. I could go on and on about how inspiring it was to be in that room surrounded by women listening to two very accomplished, honest and unapologetic women but here are just some of the highlights. A nice starting point at the beginning of the evening was both Anderson and Nadel speaking very honestly about their respective breaks in their mental health. From raising children, to facing physical scrutiny and pressure to look good, and dealing with an intense mental breakdown, both women were applauded for opening up about their struggles. The point they wanted to make was that despite their numerous achievements listed out by Kelly at the beginning of the talk, they too had the same doubts and fears as many women and that many women we meet in our everyday lives will also be facing those same struggles. My favourite quote from the night, came from Nadel. A self-confessed former workaholic, Nadel’s quote was in response to a woman expressed her concerns of finding time to keep up appearances and juggle everything in her life. She emphasised that, yes, there will be circumstances when you need to be good at things, but perfection is essentially an unobtainable goal. This was a recurring theme of the evening and another interesting point made by Nadel on how harmful our ‘Inner Critic’ can be. Whilst the scars of self-doubt and criticism aren’t visible, thoughts like these are a type of self-harm on our mental state and so scarily normalised in society. 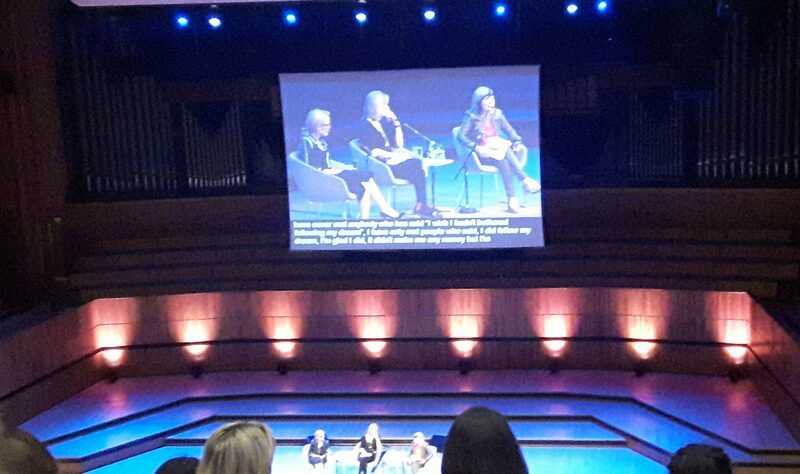 Both women also spoke about how inspired they are by the work young people are doing to change the World and one of the most poignant parts of the evening was a question from a 14 year old girl who unfortunately felt as if her efforts and actions for feminism were going nowhere. The advice given was less on how to become a more active – as I’ve seen many times before – but actually that her efforts were enough and that she as a person was enough. In a World that demands us to stand up and speak out all the time, I think we forget that we cannot expect to change the World by ourselves. We can do our best and that’s should be good enough. As I mentioned these were just some of the highlights from the night. The whole evening was a fantastic forum of open conversations on feminism. I certainly came away feeling wholly inspired by both Anderson and Nadel, and the many women who were so frank when asking their questions.